There are plethora options available to businesses seeking innovative customizable promotional items, but finding the one that works for you is key to success. Calendars, pens, notepads and more are available for low cost, but making them work is what makes them a good investment. The important thing is picking a solution that encourages high visibility and consumer longevity. A study printed by McHenry from Promotional Products Association International (PPAI) discovered that more than 70 percent of consumers have gotten a promo item in the last year, so making it memorable is essential to ensuring that a customer is going to keep your item instead of someone else’s. Getting a push in the right direction is always a good idea in terms of increasing customer assurance in a promo product. A consumer may not have heard of your brand, but backing it with a known company can be helpful. A recent article discussed how offering BIC, Sharpie and other similar products with your logo can make them more likely to get picked up. 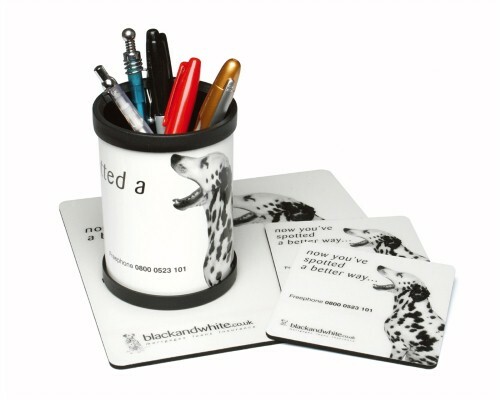 You can offer them at trade shows, at your business or with other local retailers for distribution. There is a constant need in a person’s life to stay organized, and one of the best ways to do that is keeping a calendar. Putting a promotional calendar in a prominent place not only keeps a consumer advised as to where they are in their schedule but reminds them and other viewers constantly of the company that provided it. According to the PPAI study, keeping that familiarity will enhance the likelihood of getting return shoppers and earning new ones. Over half of all those who saw a promotional item like that wound up patronizing the company who issued the item in the first place. A story from Melodika said that “it’s difficult to think of a product that’s more visibile and useful” than a promotional calendar. The article points out that truly eye-catching calendars can become conversation pieces on top of just being functional. If a consumer really enjoys the images in the promo item, they’re more willing to display it in a public place, and this will help bring more consumers to your business. Having a repertoire of promotional items is one good strategy for getting your brand into the public eye, but earning a spotlight will take making a product that’s desirable and useful. If it’s truly different but not really useful, it won’t do as well as a balanced product. The same thing goes for an item that’s very practical but somewhat boring. It’s less likely to be kept in exchange for an item that offers both a creative design and full usability. When these two aspects find a happy medium, a company can expect to experience a full return on investment for the products they deliver.